You Are Here: Home > Santa’s Helicopter Arrival Saturday December 8th at 11 a.m.
It’s that time of year for making a list and checking it twice! Santa will be arriving in North Kingstown via helicopter on the Tarbox campus to visit with all the local little boys and girls Saturday, December 8th from 11am-1pm. The Tarbox family will be spreading the holiday cheer and creating holiday memories, writing letters to Santa, indulging in some tasty treats and you’re invited! 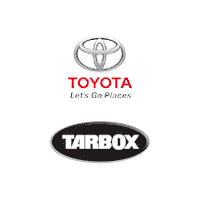 Tarbox Toyota and Tarbox Hyundai are family owned and operated, committed to the community and Rhode Island tradition. Join the Tarbox Family as they welcome Santa’s helicopter arrival, Saturday December 8th, from 11am to 1pm on the campus of Tarbox Toyota and Tarbox Hyundai, Route 2, North Kingstown. We can’t wait!